Aloys Kregting works for DSM and he has been CIO of the Year two times already. 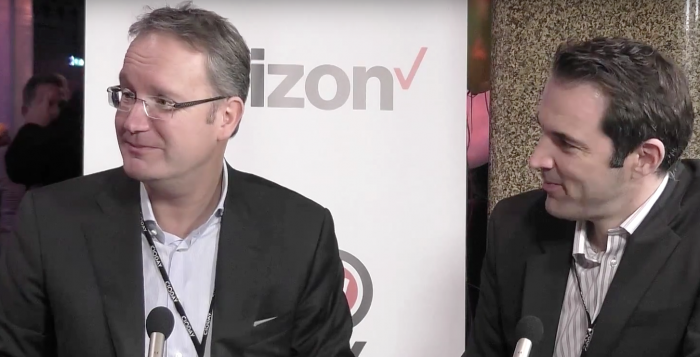 On his side is Alexander Schlager, Managing Director DACH at Verizon Enterprise Solutions. Verizon is one of the two sponsors of CIO Day. Aloys Kregting talks about the change he is going to make to Akzo Nobel in 2016 and how he partners, rather then buys, from vendors like Verizon. In his previous job Aloys had to make a quick decision about moving all their data from one datacenter to the other. They were already working with Verizon and asked them if they can use their datacenter. In one weekend they moved their complete datacenter in two trucks to Verizon’s. A very risky operation but it worked out really well. It resulted in a very strong relationship, built on trust and collaboration. CIO Day is the annual networkevent for the absolute top of the IT-industrie. CIODay TV is sponsored by Verizon and Sentia.